Did you know that in the last five years, Vail Valley Medical Center has given back approximately $55 million to our local community? 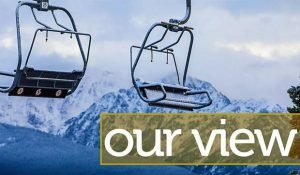 While health care systems across the nation distribute hospital revenues to shareholders or a corporate office in another city or state, Vail Valley Medical Center has been dedicated to reinvesting in health care services here in Eagle County, where locals live, play and need it the most. One of the most important issues we’ve been tackling is local access to care. We know that access to health services can help promote quality of life, reduce health disparities and decrease overall health care costs. To make health care more accessible and affordable, VVMC recently expanded our financial assistance policy, extending eligibility to local individuals with an annual household income up to 350 percent of the annually published Federal Poverty Guidelines. That means a household of five can earn around $100,000 annually and still qualify. We’ve lowered prices at our urgent care clinics in Avon and Gypsum and also added a walk-in clinic in Edwards, resulting in improved accessibility. We’ve expanded our medical discount policy to allow uninsured local patients who live in Eagle County to receive 75 percent off their urgent care bills. Every VVMC-owned service accepts Medicare, Medicaid and TRICARE for uniformed service members and their families. We also provide charity care at our facilities from Vail to Gypsum. In addition, VVMC gives $385,000 in annual subsidies to Mountain Family Health, located in Edwards, to help provide care for our underserved locals. For years, VVMC has been involved in conversations to provide locals with a quality transition of care facility. While the hospital provides access to specialists in cardiology, endocrinology and joint replacement, for instance, as well as free programs like our fall risk prevention, we aren’t experts in assisted living, long term care and memory care. We were proud to see Castle Peak Senior Care Community open in October, including a beautiful therapy and rehabilitation room donated by VVMC through a gift of $250,000. Some patients who are nearing their final days prefer to be in their own home. To help care for those locals suffering from diseases such as Alzheimer’s, multiple sclerosis, Parkinson’s, cancer, heart disease, strokes or other diseases, we partner with HomeCare & Hospice of the Valley to support local residents and their loved ones with peace, comfort and dignity. Our contribution to HomeCare & Hospice of the Valley equates to about $34,000 annually. Last year, VVMC conducted a Community Health Needs Assessment, which included a detailed analysis of the current state of health in our community. Mental health capabilities are needed in Eagle County, as they are across the state and country. Currently, VVMC employs two licensed, clinical social workers, who are available to patients seven days a week. We use telehealth technology to confer with behavioral health specialists in Denver and Grand Junction, and we partner with local psychologists and neurologists. Patients with mental health disorders who require inpatient treatment are admitted to VVMC for medical stabilization while we work with our partners at Mind Springs Health for the appropriate placement. VVMC supports Mind Springs financially, recently donating $200,000 to their capital campaign, which will contribute to the building of a psychiatric hospital in our region. Our east wing building expansion includes psychiatric rooms in our new Emergency Department, scheduled for completion in 2020. Social detox is another local issue, and VVMC is actively participating in finding solutions. The hospital has offered medical detox in Vail for many years, helping patients cope with the withdrawal symptoms of early drug or alcohol abstinence. We’ve also contributed significant dollars to fund social detox in our community. Recent changes in state regulations require two people to supervise patients in social detox, increasing the cost of our local program by $137,000 annually. VVMC is actively meeting with Eagle County officials to determine how the community can come together to fund the increase and VVMC has stepped forward with $90,000 to cover the majority of the additional resources needed to have sufficient social detox. Since Lynn Blake began the local organization Starting Hearts with the goal to save lives of sudden cardiac arrest victims through free CPR and Automated External Defibrillator (AED) training, VVMC has been one of her top supporters. Eagle County has a unique opportunity to be the heart-healthiest community in the country, especially when it comes to saving people during a cardiac arrest. Every moment is precious, with a 10 percent decline in survival rate every minute, so access to defibrillators and the proper education are critical to saving local lives. Last year, VVMC committed to placing 50 AEDs across Eagle County, including seven in state patrol cars, in partnership with Starting Hearts. Through this $100,000-plus contribution, we will dramatically increase the number of public life-saving AEDs in Eagle County. VVMC also supports the well-being of our youngest community members. Our Injury Prevention team gives out over 1,100 ski and bike helmets annually and members of our cancer care team offer Sun Safety programs to elementary school children each year. We provide free physicals to high school athletes and also support our teams with athletic trainers. This past year, VVMC started conversations with the Eagle County Public School District and Walking Mountains Science Center to enhance STEM (Science, Technology, Engineering and Math) programming for our local children. Our goal is to use our medical professionals, capabilities and unique facilities to elevate local STEM programming and get kids excited about the medical field early on, with hopes of them returning to Eagle County someday to work for us and take care of their own. Continuing that philosophy of growing our own medical talent, our newest partnership with Colorado Mountain College in Edwards provides a two-year Associate of Applied Science degree in the field of surgical technology, one of the best health care support jobs in the nation. Thanks, in part, to our world-renowned orthopedic partners at The Steadman Clinic and Vail-Summit Orthopaedics, we perform nearly 7,000 surgeries every year in Eagle County, far more than other rural communities. VVMC also looks to the future by financially supporting the research being conducted by the Steadman Philippon Research Institute and Vail-Summit Orthopaedics Foundation. Steadman Philippon Research Institute’s scientists and physicians have expanded their research to include muscle drive stem cell and regenerative medicine studies aimed to promote healing, slow aging and keep people active. Research at the Vail-Summit Orthopaedics Foundation focuses on the advancement of orthopedic medicine through basic science and clinical outcomes. These are a few of our big, new or developing partnerships, but we additionally support dozens of local initiatives, groups and events throughout Eagle County, including the InteGreat program serving summer lunches to local school children, Education Foundation of Eagle County, Rotary clubs, Buddy Werner, Vail Valley Partnership, Bonfils community blood drives, 9Health Fair, Eagle River Youth Coalition, Vail Recreation District, Eagle Outside Festival, All You Need is Heart, Camp 911, ShowDown Town, the LG Tri, Star Dancing Gala, Gypsum Daze, Eagle Rodeo, SOS River Ride, Bec Tri, Kids Adventure Games, Wings & Wheels, Wild West Days and the Hero Classic. We also offer doctor talks on a variety of relevant topics throughout Eagle and Summit counties. Vail Valley Medical Center has been a cornerstone of this incredible community for over 50 years, and we are proud of our contributions, not only to the health and well-being of our locals and guests, but in supporting those who share our goal of making Eagle County a great place to be. 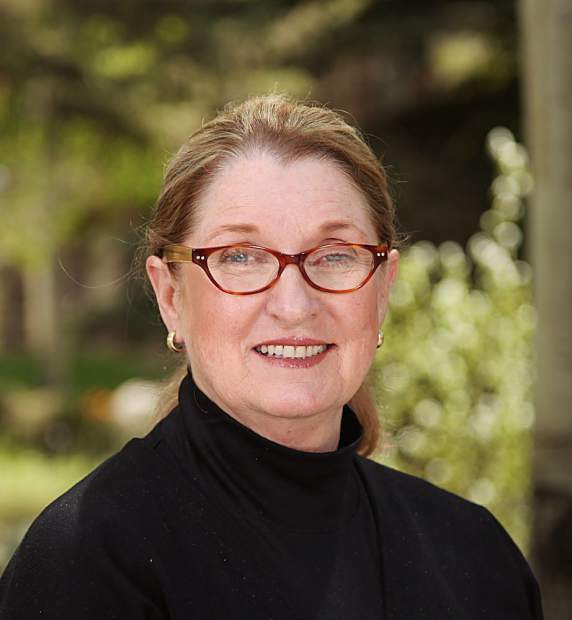 Doris Kirchner is president and CEO of the Vail Valley Medical Center.